Mix cake mix, sour cream, eggs, canola oil and milk together, beating 5 minutes. 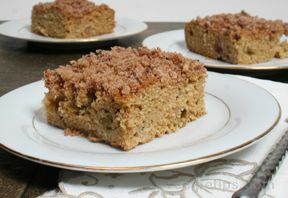 Combine the pudding mix, brown sugar, cinnamon, pecans, and nutmeg to make the streusel topping. Starting with the batter and ending with the steusel, alternate cake batter and steusel mixture in an ungreased 13x9x2 inch baking pan. 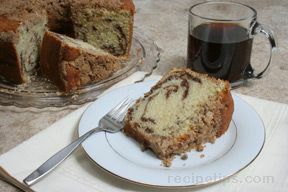 Put half of the coffee cake batter into a well greased tube pan and add 1/2 the streusel mixture. Pour the balance on top of the streusel layer, top with the remaining batter mixture. 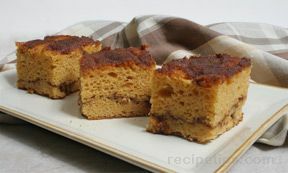 Cut into the batter with a knife to marble the cake. Bake at 325° for 65 minutes.